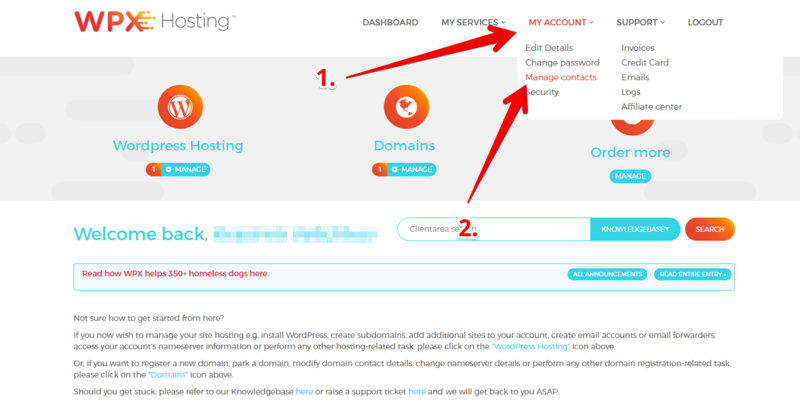 If you want to allow a developer to make changes and help run your website, you can add them as a contact via your Hosting Dashboard. 1. 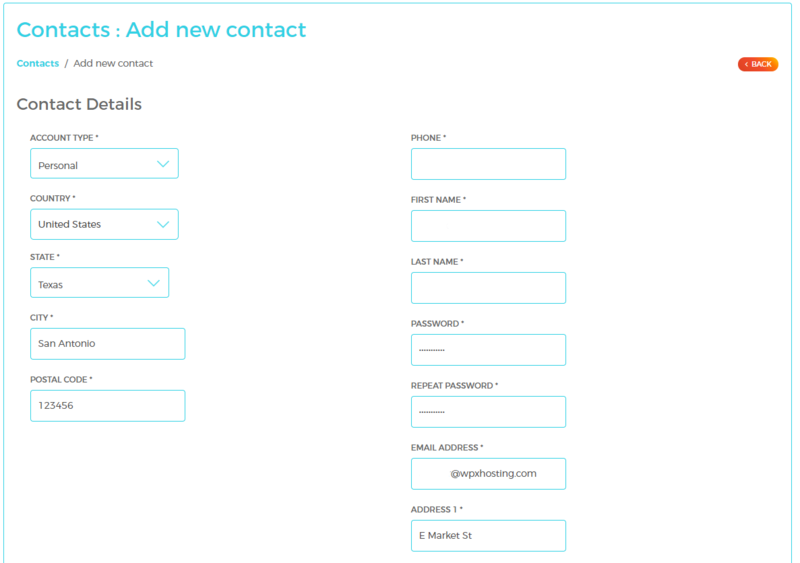 Personal: This is a personal type of contact for only 1 user with default informational fields. 2. Organization: You can choose this option if you are providing access to organisation with a Name and VAT Number. All the other values (i.e. Country, State, City, Postal Code, Phone, First Name, Last Name, Password, Email and Address) are required for contact registration. Full Privileges: The contact has full access to the account and services just like the owner of the account. Accounting: The contact can receive billing notifications, with the ability to pay invoices, place orders, view the current balance, and edit Credit Card details. Technical Staff: If you are planning to add ad developer to the site this option will be the best one for you. Basically, the Technical Staff template will allow the contact to access website files and databases so that the developer can upload/edit any updated content which is assigned to them. The default templates seen above have predefined settings, if you wish to add additional access and privileges you can select or edit them at any time. The developer will be able to open new tickets, receive email notifications, and view the current tickets but if you just want him to have access to the files and databases of the site, then you can select only the privileges for Databases and File Manager. 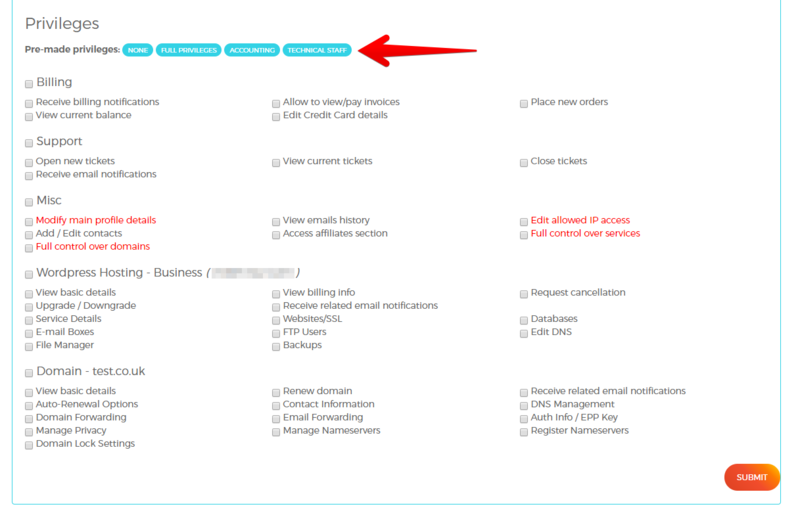 You can read how to add a developer as a contact (and our WordPress hosting in Australia here). You can also check out our WordPress hosting in the UK here (and read more information how to add a developer as a contact). More information about how to use your WPX Hosting Dashboard and about our service in Brazil find here. Discover WPX hosting plans in Germany. Read details about our Manage Contact function on our New Zealand website.